SES announced SpaceX’s Falcon 9 rocket will launch the two satellites — SES 14 and SES 16/GovSat — nine days after the company unveiled an order for three spacecraft to be manufactured by Airbus Defense and Space, Boeing Satellite Systems and Orbital ATK. Officials said Wednesday the Airbus-built SES 14 satellite and the SES 16/GovSat spacecraft produced by Orbital ATK will launch on two Falcon 9 rockets in 2017. Launch services for the SES 15 satellite made by Boeing have not been disclosed. Based in Luxembourg, SES is the largest satellite operator in the world as measured by revenue. 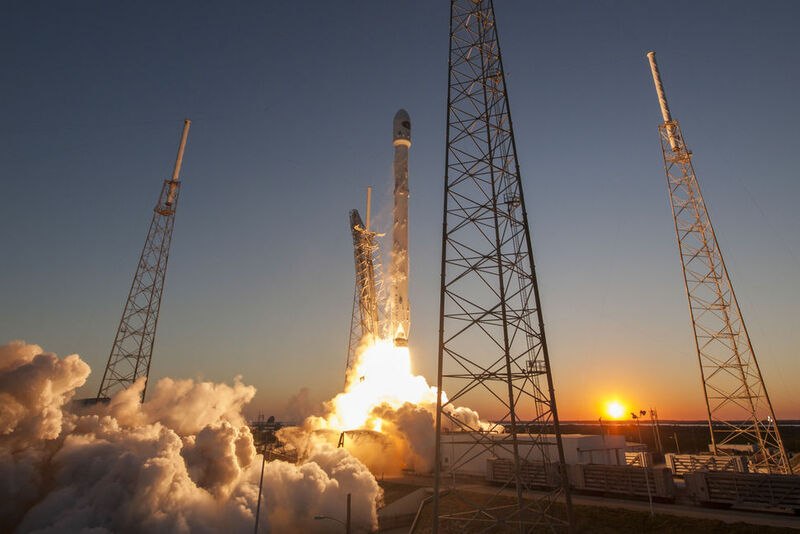 Two industry officials familiar with the launch deal said both satellites are tentatively assigned to lift off from SpaceX’s new launch site at Boca Chica Beach near Brownsville, Texas. 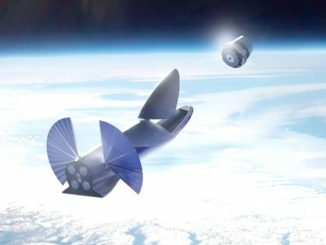 Another source close to the deal said SpaceX has contractual flexibility to launch the satellites from Texas or Florida if needed. 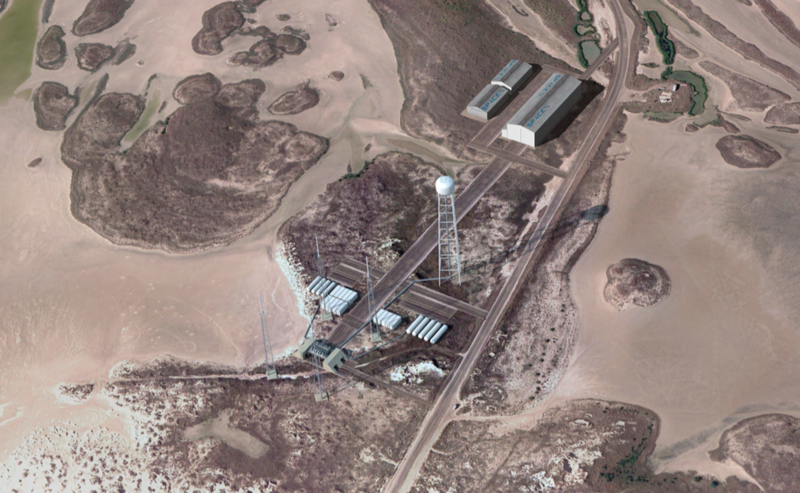 It was not clear whether another commercial SpaceX launch could occur from the Texas spaceport before the SES 14 and SES 16/GovSat missions are ready for liftoff in 2017. SpaceX chief executive Elon Musk said at a September groundbreaking for the South Texas spaceport that the first launch from the facility was expected no earlier than late 2016. The commercial launch site is one of the first of its kind, operating under the licensing authority of the Federal Aviation Administration, which holds responsibility for public safety. The U.S. Air Force has that job at SpaceX’s current launch sites at Cape Canaveral, Florida, and Vandenberg Air Force Base, California. Musk said SpaceX plans to move many of its commercial satellite launches into geostationary transfer orbit to the South Texas site, which sits on the Gulf of Mexico about 20 miles east of Brownsville and three miles north of the U.S.-Mexico border. “Our preference is to try to move particularly the commercial GTO (geostationary transfer orbit) missions to the Boca Chica launch site as soon as we can because there’s a significant benefit by being south,” Musk said. Geostationary transfer orbit — an elliptical orbit with a high point typically about 22,300 miles above Earth — is a common drop-off point for large communications satellites. Communications satellites use on-board thrusters to circularize their orbits at geostationary altitude — 22,300 miles — and move over the equator, where their orbital velocity matches the speed of Earth’s rotation, causing the spacecraft to hover over a fixed location on the planet. Rockets launching into such orbits receive a performance boost from launch pads at lower latitudes because of the faster spin of Earth closer to the equator. Launching closer to the equator allows rockets to use less fuel to put satellites in orbit. The Boca Chica launch site lies at about 26 degrees north latitude, while Cape Canaveral sits at approximately 28.5 degrees. SpaceX’s rockets will launch to the east from Boca Chica Beach, flying over the Gulf of Mexico and the Florida Straits between the Florida Keys and Cuba to avoid flying over land en route to geostationary transfer orbit with commercial satellites. 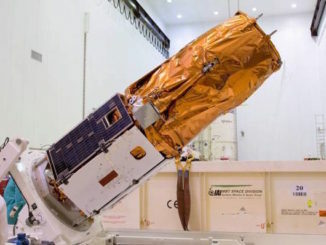 The SES 14 satellite assigned to launch with SpaceX will carry C-band, Ku-band and Ka-band payloads to cover the Americas and the North Atlantic with direct-to-home television programming and mobile, maritime and aeronautical communications. 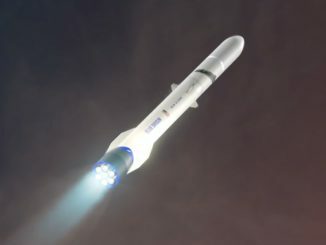 The spacecraft is based on the Eurostar E3000e platform from Airbus, and its all-electric propulsion system will place the satellite into a circular operating orbit a few months after launch. According to an Airbus press release, SES 14 will weight about 4,200 kilograms — 9,259 pounds — at launch. SES 14 will be positioned at 47.5/48 degrees west longitude, where SES says it will replace and expand capacity currently provided by the NSS 806 satellite launched in February 1998 by an Atlas 2AS rocket. The SES 16/GovSat mission is a partnership between SES and the government of Luxembourg, which formed a joint company named LuxGovSat. Luxembourg has committed to purchasing a significant amount of capacity on the SES 16/GovSat satellite in support of its NATO obligations, according to SES. Built on Orbital ATK’s GEOStar 3 medium-class satellite bus, the spacecraft will be parked in geostationary orbit at 21.5 degrees east longitude for a 15-year mission, working in military frequencies in X-band and Ka-band reaching users in Europe, Africa and the Middle East.